I'm a returning casual player that hasn't played in 4-5 years, so some cards were fillers until I could find better replacements. I've built this deck irl and so far have won 9 out of 10 casual games against a couple of friend's decks. 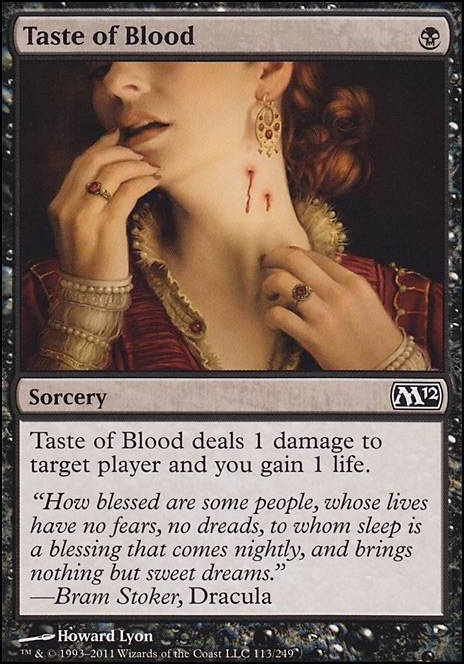 Taste of Blood just sort of went with the theme of opponent lose 1, I gain 1, and its only one swamp. The way this deck has played for me so far is I usually get Blood Seeker or Zulaport Cutthroat in my opening hand, so I can start chipping away at opponents life total early on. The Birds of Paradise has helped me in times of being lopsided on mana with only Forests. So far I've yet to win with my original theme of sac'ing things myself with Hazardous Conditions, instead, I've ended every game with lethal damage attacking across the board. 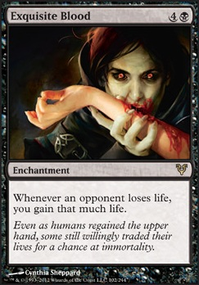 You might not have that many zombies in the deck for the Diregraf Colossus's value, that's just my thought, also why the Taste of Blood? if you want to make a deck revolving around it then maybe want to try adding Defiant Bloodlord it goes well with Zulaports also Alms of the Vein might be good with him, also Birds of Paradise don't have a certain value in the deck, you already have some other mana generators plus there's a bigger chance that you will draw it in the late game when you need something big. Maybe cut back on the birds, ad some more pressure cards Another Grave Titan or two might help. Are you building this deck irl? For bloodthirst, the only question is "Has the opponent been delt damage?" 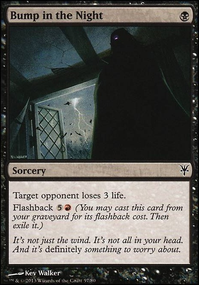 It doesn't matter whether it was noncombat damage from something like Taste of Blood, combat damage from an unblocked creature, from a trample creature, or even from an infect creature (such as Glistener Elf) that doesn't result in loss of life. For Curse of Stalked Prey the question is "Did the creature deal combat damage to the enchanted player?" The answer would be yes, as it dealt combat damage to both the blocking creature and the defending player. Note both these answers assume the trample creature had enough power to deal lethal damage to all blocking creatures and carry some over to the defending player. It also assume a player was attacked, rather than a planeswalker. 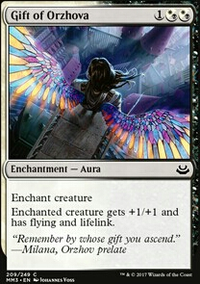 If a creature with trample attacks a planeswalker, it will not trample over to the player, even if the planeswalker is destroyed before combat damage is dealt. that seems good. they were a little slow. 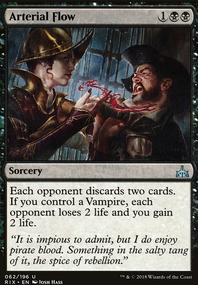 cut Taste of Blood for Sorin's Thirst and two land and Havengul Vampire for a madness enabler. Alms of the Vein Gr ikke nok, du spiller mod 3 andre spillere med 40 liv.Taste of Blood Samme tingStab Wound Samme ting.Pharika's Cure Samme ting.Altar of the Brood Prver du at mlle os? Du har ikke noget der interagere med vores gravyard.Feast of Dreams Du skal ikke regne med vi encthanter vores creatures.Twins of Maurer Estate En 3/5'er uden effekt? Kalastria Nightwatch S ofte fr du ikke liv.Drana's Chosen Simpelthen ikke nok Allies. Bump in the Night would go great with this. 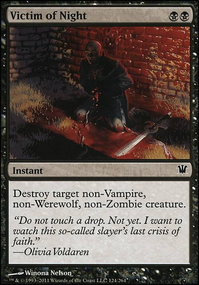 To fit four of them in I would take out Liturgy of Blood, Rakdos Cluestone, and Taste of Blood. A lot of the creatures just don't really meld well with a burn strategy. Burn typically means you want to win fast. I would actually scrap all the creatures and replace them. Four Monastery Swiftspear would work really well here. 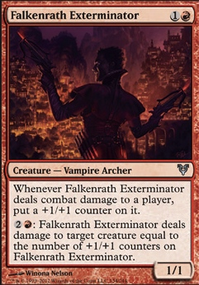 Rakdos Cackler is also a good creature to put in. Spike Jester and Rakdos Shred-Freak would fit amazingly as well. I would move Doom Blade to the sideboard. To replace it, I would add Madcap Skills. I would take out Lightning Strike and just add more Shock. 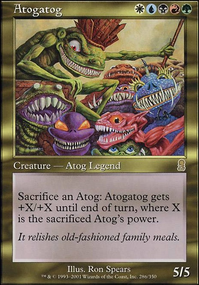 With the low cost of all the cards you don't need 23 lands. I would take out Darksteel Citadel and Terramorphic Expanse. Bloodfell Caves and some of your basics can be replaced with Dragonskull Summit.